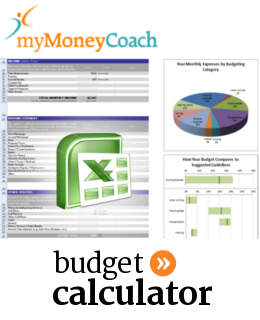 To make budgeting easier for you and your spouse, family or household, we’ve created an intelligent, interactive Canadian budget calculator spreadsheet in Excel that you can download and use for free as your personal budget template (it's now available on the Mac too). Provides guidelines for how much to spend in each category of your budget. This allows you to compare your spending to what's "normal"
Drop down menus let you tell it whether each expense occurs weekly, monthly, annually, etc. What Does a Normal Personal or Household Budget Look Like? There’s no such thing as a “normal” budget, but based on tens of thousands of credit counselling appointments, we’ve been able to create Canadian guidelines for how people will generally want to spend their after-tax income to avoid getting into debt. Everyone allocates their money for personal or household expenses and savings a bit differently. This free spreadsheet includes our very popular budgeting guidelines so that you have an idea about how your spending compares to that of other Canadians with similar sized households. A savings calculator is built right into the worksheet so that it’s easy to see the amount of money you need to set aside for annual, emergency and unexpected expenses. Expenses that you don’t expect, or which don’t occur on a monthly basis, can cause you to reach for a credit card. Then it can feel like your spending plan is off track as you try to get out of debt. Using the budget calculator spreadsheet will help you identify the different types of expenses that you need to plan for and what to save for each. It will also help you learn where to trim your spending so that you have the money to set aside in savings for short term goals and long term plans. If you’ve searched for free online budgeting apps and tools, you’ve likely discovered that there are some great tools available to help you plan your spending and track your expenses. However, if you are worried about divulging too much information about your spending, or are hesitant to allow an app read-only access to see your bank account transactions, you are not alone. Depending on your financial institution’s debit card holder agreement and electronic banking terms and conditions, you may be in violation of your agreement if you disclose your passwords and PINs to a third party. Using our spreadsheet will not put you in violation of your banking agreements. 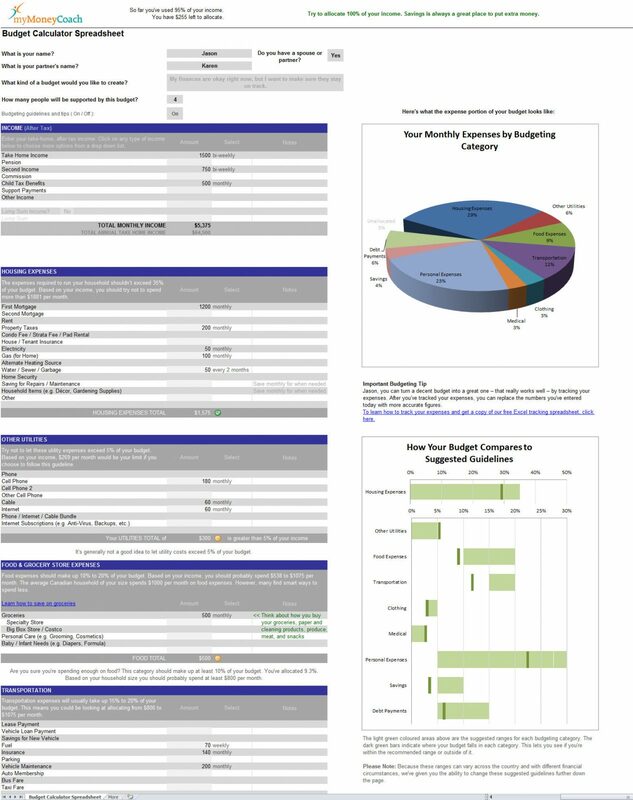 Our free Excel personal budget template is as secure as you make it. It’s up to you to download it, use it on your laptop, PC or Mac, and save it securely. You do not need special permissions to use the spreadsheet nor do you need to allow it any access to your bank account. It is easy to use even if you don’t really know how to use Excel. While nothing beats sitting down one-on-one with a budgeting expert to craft your budget, this budgeting assistant is the next best thing. As you fill out your budget, it will alert you to anything it thinks is off and then offer suggestions to help you build a solid budget. In addition to helping you throughout the process of creating your budget, when you're finished, it can look for dozens of opportunities to help you further improve your budget and save money. As you fill in the free Excel budget calculator spreadsheet, tips will alert you to areas of your spending plan that may be cause for concern. If you would like personal help from a qualified, professional Credit Counsellor to balance your budget and deal with debt, contact a non-profit credit counselling organization in your area today.